The handset maker company OnePlus flagship smartphone OnePlus 6T has a few days left to officially launch. But before the launch, the glimpse of OnePlus 6T was found on the Geekbatch site. The model number A6013 of OnePlus 6T on Geekbench has been listed. Listing has revealed that the OnePlus 6T Android will not work on Oreo, but Google's latest Android 9.0 Pie software will run on updates. Recall that a few days ago, OnePlus 6T smartphones were listed on the German retailer Otto's website. The listing revealed that this handset will come with Android or support. Geekbench listings have shown that this smartphone of a OnePlus brand for speed and multitasking can be launched with Qualcomm Snapdragon 845 chipset and 8 GB RAM. Please note that OnePlus 6T is to be launched globally on October 29 and in India on October 30. Recently, the company has announced that it will organize events in different cities on November 2. People can use OnePlus 6T before buying the phone during the event. OnePlus 6T has scored 2,387 in single-core and 8,925 in multi-core. Explain that this benchmark score is based on the pre-production unit, which is why it is possible to increase the data. OnePlus 6T's alleged specificationsDual-SIM OnePlus 6T will run on Android 9.0 Orio. It has a 6.41 inch full-HD + (1080x2340 pixels) AMOLED display. Its aspect ratio is 19.5: 9. The Qualcomm Snapdragon 845 processor is expected to be available in the handset. There will also be storage up to 8 GB RAM and 256 GB. The company has already said that OnePlus 6T in-display fingerprint sensor will come with the Waterdrop display, Notch and will not have 3.5mm headphone jack. 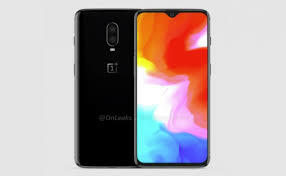 OnePlus 6T will have 4G LTE, Wi-Fi 802.11 AC, Bluetooth 5.0, GPS / A-GPS, NFC and USB Type-C connectivity features. The smartphone can have 3,700 mAh battery.